While it is difficult to obtain permits for concealed carry in most California counties, open carry of UNLOADED firearms is permitted by California state law. Members of Bay Area Open Carry (BAOC), a group of open carry advocates, have been meeting in restaurants and coffee houses in Northern California. The sight of unloaded handguns on the hips of patrons aroused the ire of the national Brady Campaign to Prevent Gun Violence. Peet’s Coffee and California Pizza kitchen caved in to anti-gun pressure, banning openly-carried firearms on their premises. The Starbucks Open Carry situation attracted national attention when the NRA emailed its millions of members, urging them to support Starbucks. The email was entitled Maybe Brady Campaign Should Switch To Decaf. You can read more about this story in the D.C. Gun Rights Examiner Blog, which has a cogent (and amusing) commentary by Mike Stollenwerk, of OpenCarry.org. 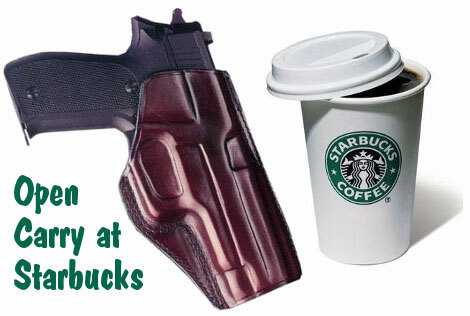 Share the post "Coffee and Open Carry OK at Starbucks"
Has your Windows PC running XP started to slow down? Are you running out of hard drive space? If so, there is a simple procedure for removing accumulated “temp” files that can clog your system when running Windows XP. If you’ve been using your computer for a couple years or more, there could be thousands of temp files hogging space on your hard drive, though they have no function anymore. Here’s the procedure for deleting unnecessary temp files. First click on the “Start” button. Next select “Run” from the Menu. When the “Run” window appears, type in “%temp%” (without quote marks), and click “OK”. A folder window called “Temp” will appear. All the files and folders in that window can be highlighted and sent to the Recycle Bin. WARNING: If you find some important data files (such as family photos or your IRS tax returns), you may want to move these to another place on the hard drive BEFORE you empty the Recycle bin. But in reality, it’s normally safe to delete any file that displays when you peform the Run > %temp% command. If a file in that temp folder is being used by an active program, Windows won’t let you delete it. On this editor’s three-year old computer, running Windows XP, there were nearly 18 Gigabytes of temp files that I was able to delete. That freed up a lot of space on my hard-drive, and my computer runs faster now. If you don’t understand our explanation of the Temp File deletion process using the %temp% command, READ THIS TECH SUPPORT PAGE from About.com. Note, there are also unused files in the “Temp” sub-folder in your Windows folder on your C:/ Drive. But you need to be a bit more careful deleting those files — so we won’t explain that process here. Just be aware that there may be many more Gigabytes of useless files stored in your computer. 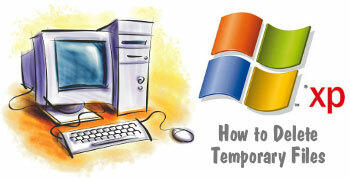 Share the post "Speed Up Your Windows Computer by Deleting Temp Files"